For the modern gamer, a high powered graphics card is a must. As game developers continue to push the boundaries of visual enhancement and immersive interactivity, an advanced graphics card is an indispensable component in a properly equipped PC. Low end and older graphics cards lack the processing power required to meet the demands of a new generation of games. This usually leads to a frustrating gaming experience as the player deals with low resolution, unstable frame changes and unacceptable refresh lags. The most important element in a graphics card is the graphics processing unit, usually referred to as the GPU. In practical terms, the GPU determines the quality of the displayed images and the associated refresh rate. While clock speed is important, a higher rating specification may not translate into better performance. In some instances, a GPU rated at 3 GHz can actually be slower than a 2 GHz model if the underlying architecture is inferior. It is always important to consult the unit’s benchmark testing results to determine actual performance. Dedicated video memory, or graphics RAM (GRAM), is an often overstated measurement of graphics card performance. While more GRAM can help gamers play at a higher resolution on some games, the more meaningful measurement is the bandwidth of the GRAM. Newer high-end graphics cards offer a bandwidth of 200Mhz and 128-bits. The latest development in PC gaming is the introduction of 4K video. In essence, 4K is an ultra-high resolution platform that provides four times the resolution of 1080p video. To this point, the primary focus of 4K has related to television displays, but the crisp resolution and superior refresh rate are particularly well-suited for gaming. While 4K television and movie content lags, there is already a large existing library of polygonal games that support the new format. The latest video graphics cards can display 4K natively or through config file changes, and non-compliant games can be scaled to a 1080p resolution. Current games available in the 4K format include Batman: Arkham Origins, Assassin’s Creed IV: Black Flag, Watch Dogs and Call of Duty: Ghosts. NVIDIA and AMD dominate the graphics card market, and new product development is an ongoing process. The current generation of graphic cards is characterized by 4K compatibility, more powerful GPUs, lower noise, more efficient power consumption and better rendering. * AMD R9 295X2: The R9 295X2 is the flagship graphics card from AMD. It provides 8 gigabytes of memory and 11.5 teraflops of computational power. Four separate GPUs work in tandem to offer a stunning display and flawless refresh rate. The unit is equipped to run all current 4K games and can accommodate future platforms with up to two million additional pixels. AMD includes its proprietary True Audio technology for the ultimate surround sound experience. * NVIDIA GeForce GTX 980: Based on NVIDIA’s latest generation “Maxwell” architecture, the GTX 980 offers unparalleled performance, outstanding power efficiency and leading-edge features. Maxwell was designed for next generation gaming, and it provides the most sophisticated lighting and graphics rendering capabilities of any available graphics card. Indirect light can be rendered using the proprietary Voxel Global Illumination technology. 4K resolution is fully supported, and the Dynamic Super Resolution system produces ultra-smooth images by rendering at a high resolution before downscaling to a native resolution. * AMD R9 290X: The R9 290X supports 4k gaming through a dedicated 4k monitor or multiple 1080p HD monitors. Exclusive “Mantle” technology allows game developers to directly access the core GPU to provide breathtaking detail and extraordinary clarity. True Audio technology is also included for a remarkable surround sound experience. * NVIDIA GeForce GTX Titan Z: The GTX Titan Z was developed to provide ultra-fast graphics for dedicated gaming PC rigs. The unit is stacked with 5760 cores and comes equipped with 12 GB of RAM. The dual GPU provides enough processing power for both 4k gaming applications and multi-monitor configurations. Both NVDIA and AMD offer a variety of products designed for every budget and performance expectation. 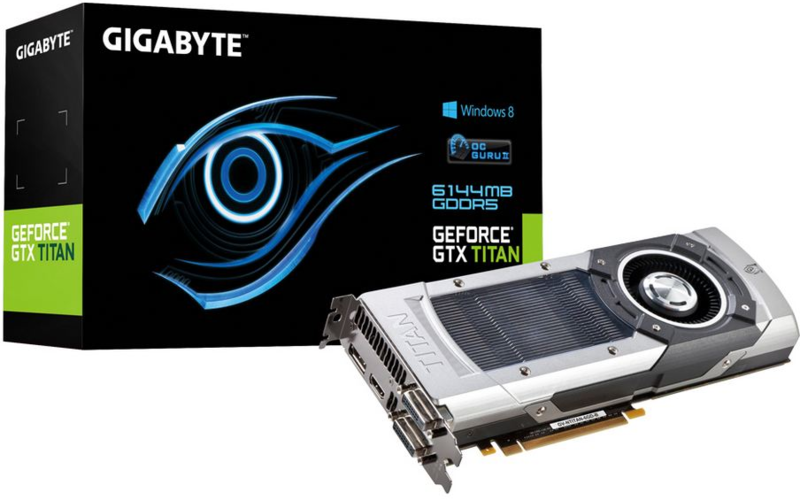 Before buying, it is always important to compare specifications and thoroughly test the graphics card to ensure its compatibility with your current PC system and typical gaming habits.